Or view larger version. Portrait of Belva A. Lockwood. 1896. Unknown photographer. Photograph on paper. Collection of Oakland Museum of California. This is a photo of Belva Ann Lockwood, an American attorney, politician, educator, and author. She was a suffragist who worked to gain rights for women, including the right to vote. Lockwood was sworn in as the first woman member of the U.S. Supreme Court bar in 1879. The following year she became the first woman lawyer to argue a case before the U.S. Supreme Court. Belva Lockwood was the first woman to run for President of the United States. 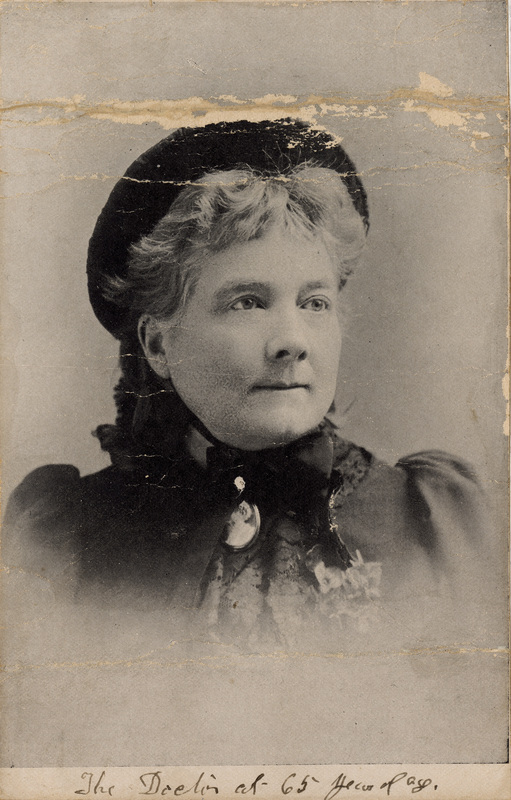 She ran in 1884 and in 1888 as the candidate of the National Equal Rights Party.